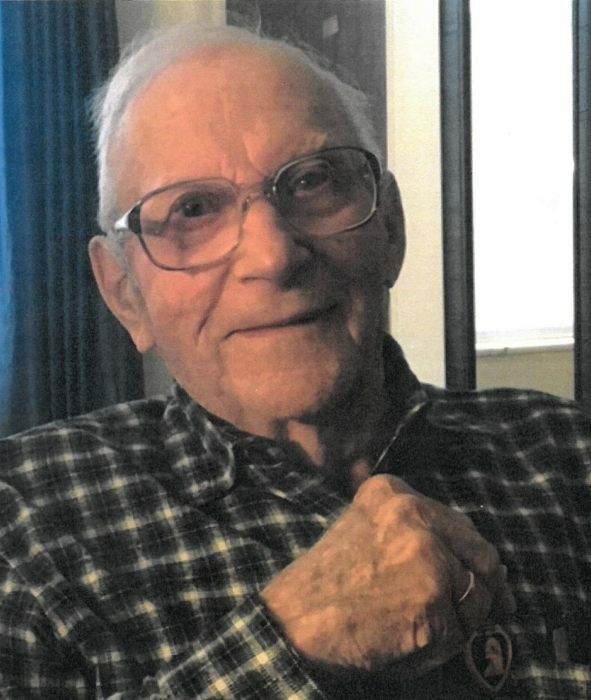 George Ernest Reber, age 96, went home to heaven on April 10, 2018. He was preceded in death by his wife, Ruth (Metzig) Reber and a son, George Edward Reber. He is survived by a cousin, Larry (Joann) Herzberg. George was born in Arpin, WI on March 15, 1922. He was a veteran of WWII, having served in the Army. He was wounded twice and received two purple hearts. After returning from the service, George had several occupations which included 17 years at Gilbert paper and 17 years working for the Winnebago County Highway Department. He was a member of the American Legion Post in Kimberly, and also of St. Peter Lutheran Church, Freedom. A graveside service and full military honors will be performed at 2:00 p.m. on Friday, April 20, 2018, at Peace Lutheran Cemetery in Oshkosh.